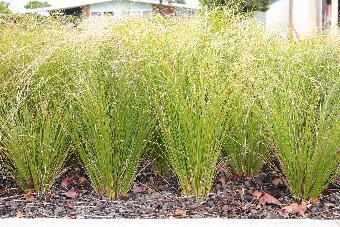 The New Zealand grasses and similar tufted plants make ideal compliments to trees, shrubs and ground-covers that may be used in landscaping an ornamental border. 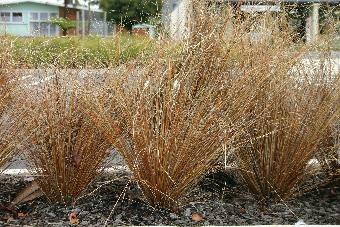 They help create a natural or less contrived feel to a garden, move in the wind and require litlle maintenance. 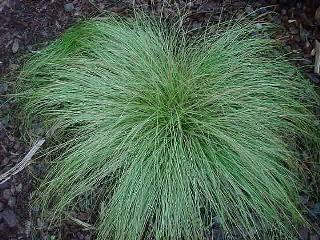 Carex are plants of damp or wet ground, however they perform well in cultivation with a little care and attention over the drier months. 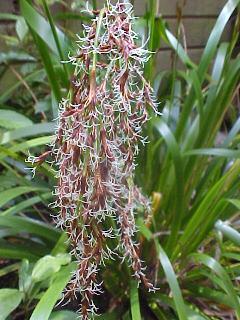 Cordyline pumilio dwarf cabbage tree. 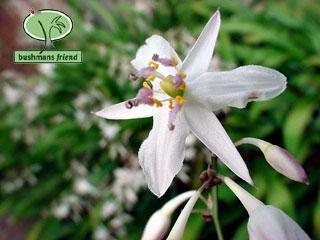 Good in all situations and with its beautiful flowers in spring this overlooked plant makes an ideal addition. 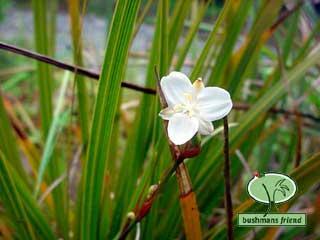 Libertia ixioides, L. grandiflora, L. perigrinans . 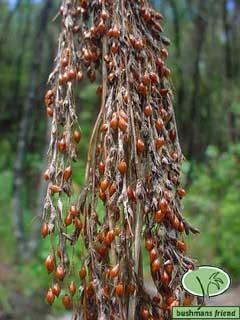 These natives found within the Iris family all exhibit attractive leaf shape and colour, with white flowers and attractive fruits. 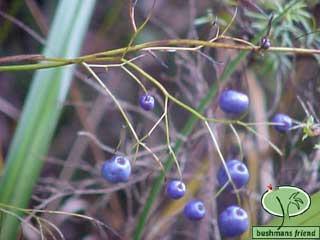 Dianella Nigra Ink berry. 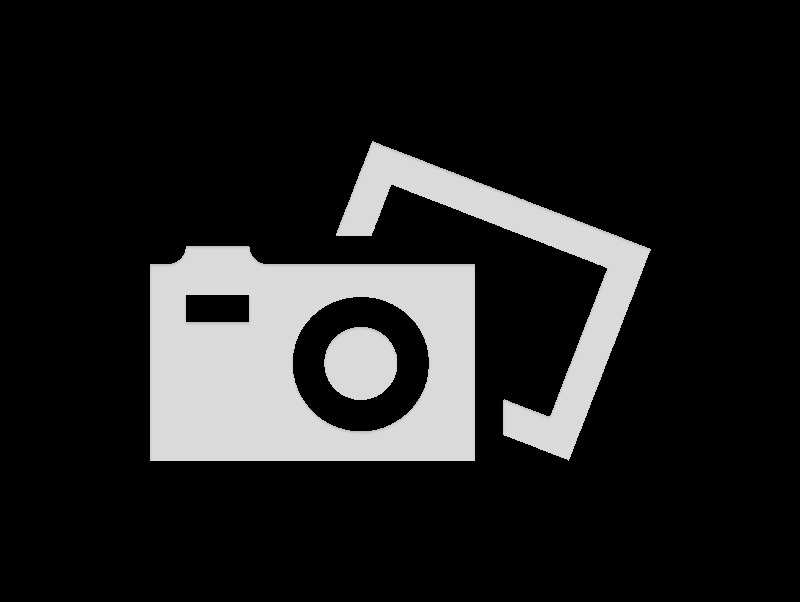 turutu. With its dainty blue black berries in autumn and green foliage this plant is ideal in all New Zealand gardens. 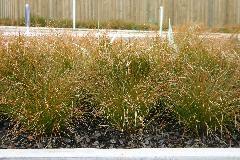 Cortaderia and Chionochloa. 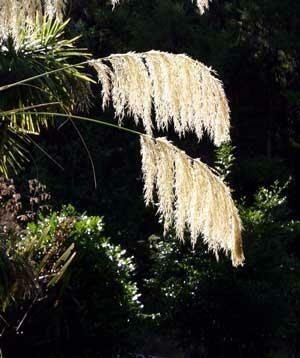 Toe-toe with their massive plumes create that distinctly New Zealand feel to all gardens. (never to be confused with that exotic import Pampas). How do I tell the diffrence between toetoe and Pampas?? Toe toe flower in spring, Pampas in autumn. 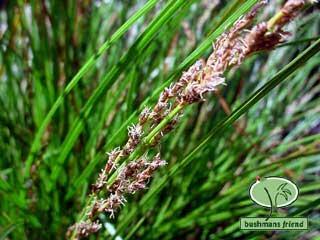 Toe toe's flowers fall limply, where as pampas's flower stand erect. 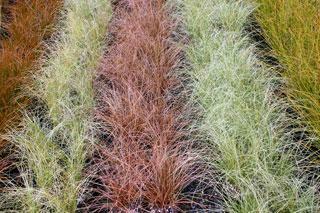 Pampas is larger and more vigorous than toetoe. Arthropodium cirratum Renga lily. One of our most popular perennials, with its glossy green foliage and December flowering. Every home should have at least one. 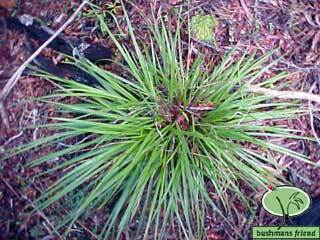 Machaerina sinclairii has strap like leaves and likes a shadey or damp spot.